On Monday, we had the chance to speak with Cody Rhodes, Executive Vice President of All Elite Wrestling. We covered a wide range of topics and will publish highlights from the interview in a few parts. In Part 1 of our recap, Cody speaks about his vision for AEW and how they plan to differentiate themselves from WWE. We asked Cody how he feels All Elite Wrestling will differ from WWE’s brand of over-produced corporate Sports Entertainment . At the Double or Nothing Rally earlier this month, Cody stated that wins and losses will be a big part of All Elite Wrestling. 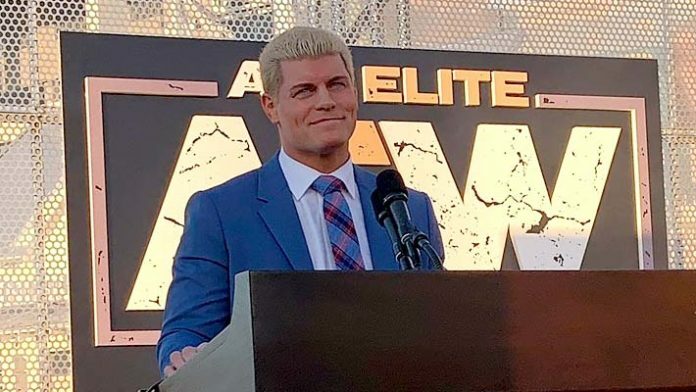 Digging into that topic further, Cody revealed that AEW is considering the possibility of featuring win/loss records and rankings. Stay tuned to SEScoops.com this week as we publish the next parts of our exclusive interview with Cody Rhodes.